This is our new little boy. He only weighs about 2 pounds and is very bashful right now. He will never replace our dear sweet Patty. 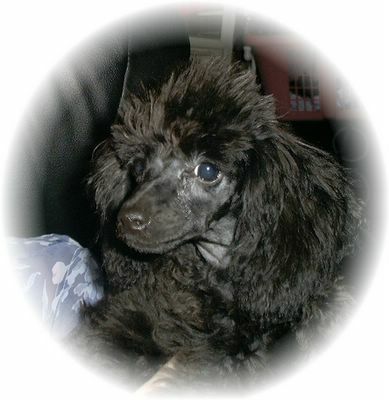 She was the best Poodle girl ever. However he is much different than she was in many ways. So far he is a velcro dog. He wants to be held continually. He seems to know his name and he knows what "come" means. He is a great dog. His parents were both champions. Welcome to the family Mickey.